We offer a full range of hair care services for women including Keratin Treatments. 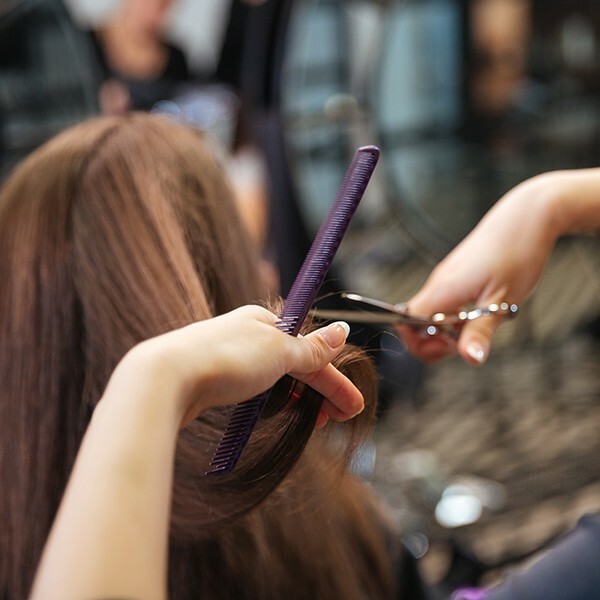 Our experienced hair stylists will help you determine what styles and treatments will work best for you. Our stylists are kept up to date on the latest techniques and styles. Whether you need a completely new look or just a simple trim, we are the salon for you. Whether you want a completely new look, or a simple trim to your bangs, we can help decide what's best for you. Our stylists use the latest techniques to blow dry your hair. We can take extremely curly hair and transform it into a beautiful sleek style. An allover highlight, a temporary hint of color or a complete covering of grey, our color staff excels in determining which colors work best with your complexion and style. Our colorists can help determine if a new color or simple touch up is best for you. Whether you need a little extra body added to your hairstyle or a firm curl, our designers can give you a wave that is right for you. If you prefer to relax your curl, our designers can also give you a healthy, smooth look. Our conditioning treatments are used to rebuild your hair to give it the best look possible. Whether you need a full conditioning treatment, or you simply want to add extra shine to your hair, our conditioning treatments will do just the thing. We offer a full range of hair care treatments to bring your hair to its absolute best condition. Have a special event coming up? Our trained stylists can give you the updo that will suite you and your event best. Whether simple or elaborate, our stylists can do it all. A trial updo is highly suggested before your event. Meet with one of our trained stylists to try out different styles, so you get exactly what you are looking for on the day of your event. Keep Up to Date with Our Monthly Highlights!